You’re guaranteed to see quirky concept cars at vehicle expos, and this year's Tokyo Motor Show is proving no exception. One of the most unusual designs on display is the Flesby II, which, as its makers put it, has airbags on the outside. "We put airbags, which are mainly employed inside the car, on its exterior, such as its hood or fender, to protect the entire body," said Takashi Ishikawa, managing officer of Toyoda Gosei, who is behind the car. The company, which is part-owned by Toyota Motor, specializes in the fields of rubber, plastics, and LEDs. 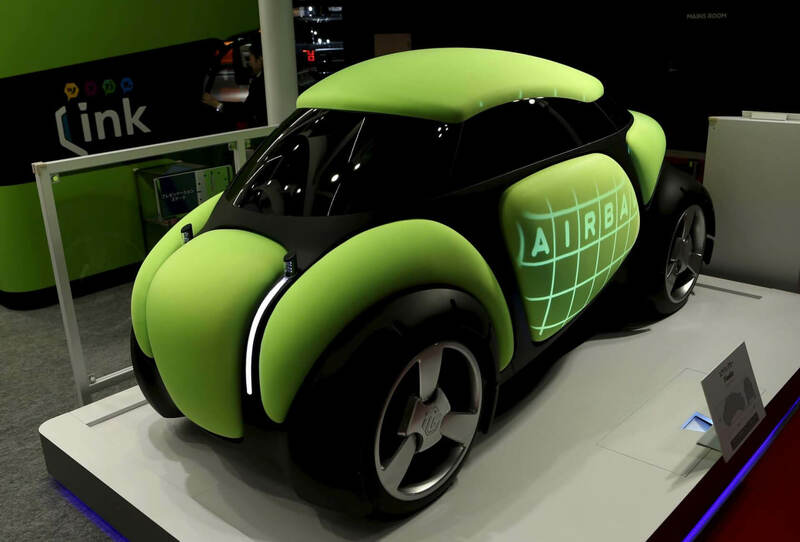 The ultra-compact, electric autonomous vehicle is covered in a soft, next-generation rubber called e-Rubber. Not only can it prevent the kind of bodywork dings that come from parking in crowded car lots, but it’s also able to absorb the impact of a collision. “In the event of contact with a pedestrian, the soft body serves a safety function in absorbing the impact,” the company said. Some of the Flesby II’s upgrades over its 2013 predecessor include the ability to move the external rubber using electric power, allowing the shape of the body to change. This makes getting in and out easier and allows for less wind resistance at high speeds. There are also LED lights on the outside that allow drivers to communicate with pedestrians, and the inside of the car appears very futuristic—certainly nothing like today’s cars. As with all concepts, the Flesby II may never go into production. Even if it does, we’ve got a long wait; it’s envisioned to arrive in 2030.